Tacos? In Maine? Dreams do come true. Coming from San Antonio, TX, I always expected a lack of authentic Mexican food in Maine. 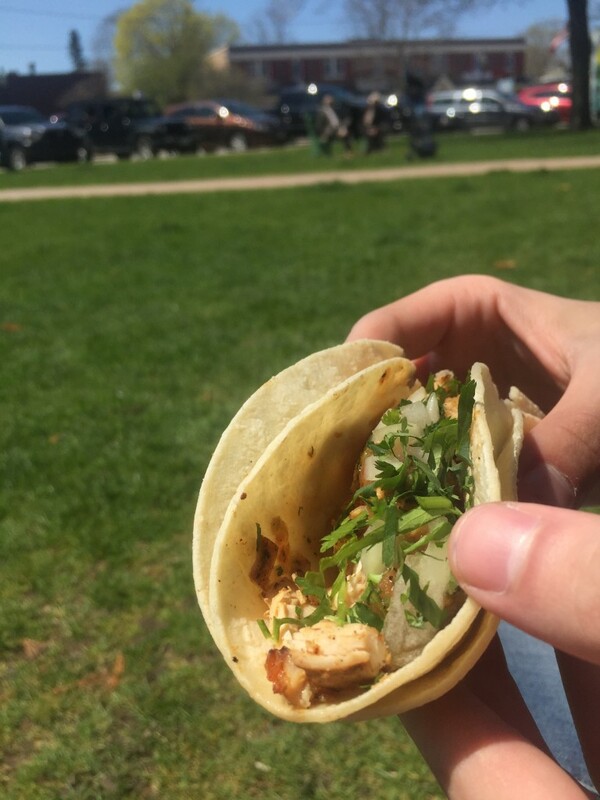 Many southern students would agree that while the crispy chicken tacos in Thorne are good, nothing can beat your favorite taco place back home. For me Torchy’s Tacos and other taco hot spots in Texas will always have my heart, however, I can now get my fill of fantastic tacos right here in Maine. Opening less than a few weeks ago, Taco the Town is Brunswick’s newest food truck on the Maine Street Quad. 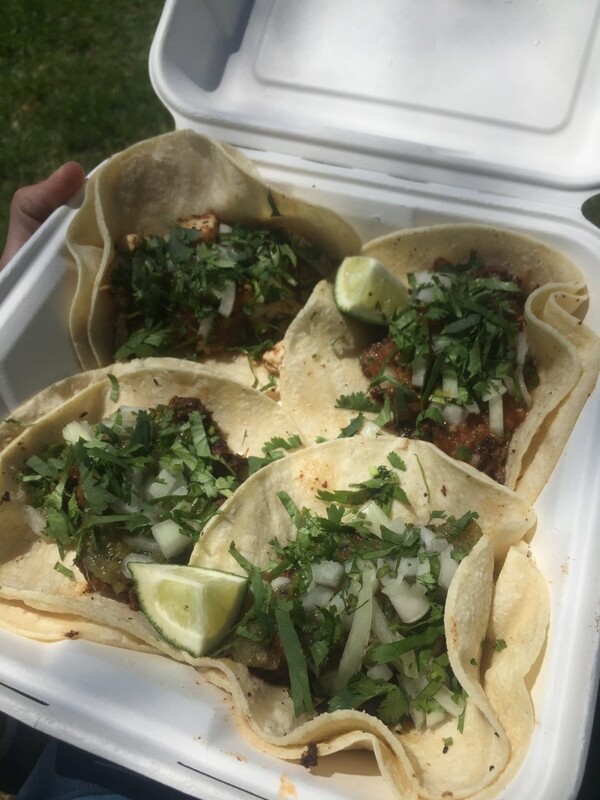 Easily recognizable by its bright green color and the typical line of people stretching down the sidewalk, the truck is parked there every day except Sunday and Monday from the morning to the afternoon serving lunch. Head Chef Tai saw a market in Brunswick for this kind of truck. After working in another local favorite Blueberries, he knew the area and the area knew his food. Chef Tai receives great compliments from the community on the “authenticity and freshness” of his food. And honestly, I couldn’t agree more. I ordered the Al Pastor and the Carne con Chipotle tacos, while my friend ordered another Al Pastor and a Pollo Asado. 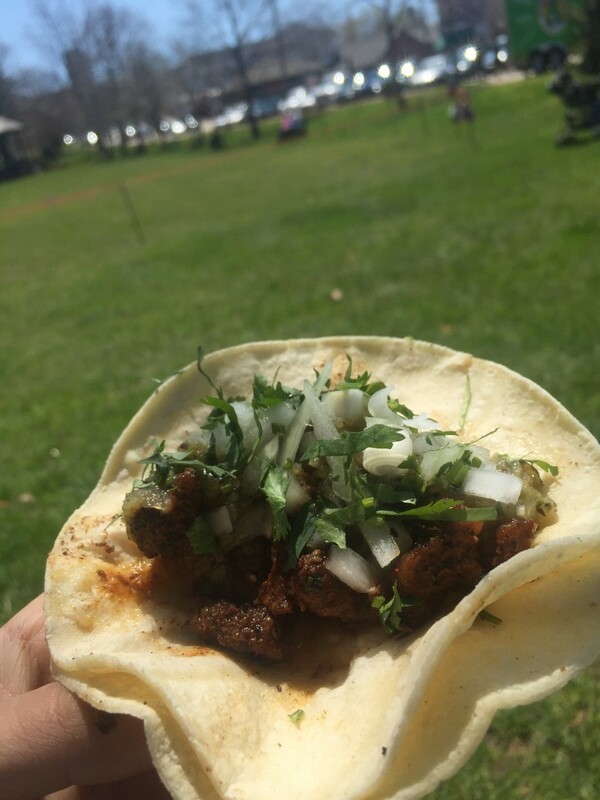 All of the tacos had great flavor, tender meat and were topped with a generous amount of salsa verde and other toppings. 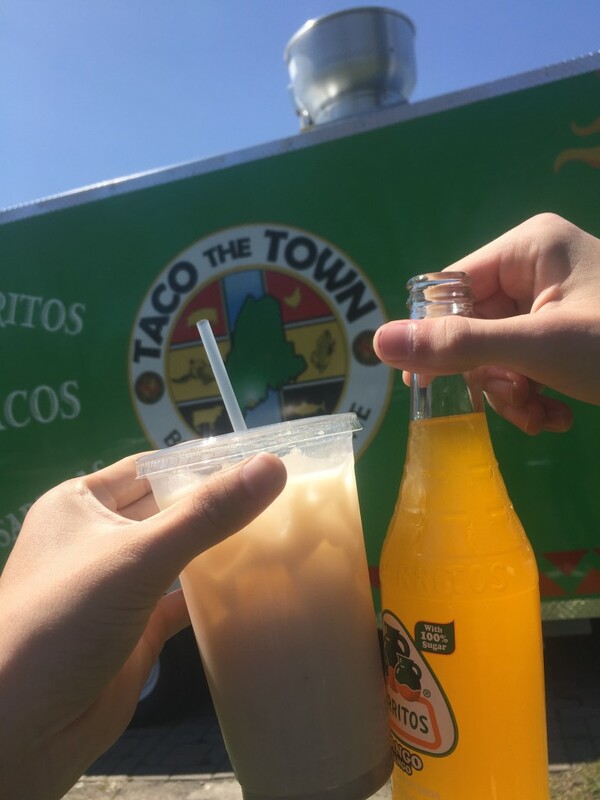 With a fresh horchata and Jarritos as refreshments, the meal resonated with the authenticity of my favorite tacos from home. Besides tacos, Taco the Town serves burritos and quesadillas, as well as a variety of different sauces and toppings to spice up your taco. Don’t worry. If spicy isn’t your style, you can still eat well at the truck with a host of options for the less daring. Also there are plenty of vegetarian options! Check out their Facebook page to see their menu. Bowdoin students are no strangers to great food, so I’m sure everyone can appreciate the food at Taco the Town. Chef Tai and his fiancé, Jess, are really looking forward to serving students and their friends on the Maine Street Quad. And look forward to next year, where hopefully, we will be seeing a lot more of Taco the Town on campus. I can’t wait to go back to try another taste of home and encourage everyone to support the newest food scene in Brunswick.